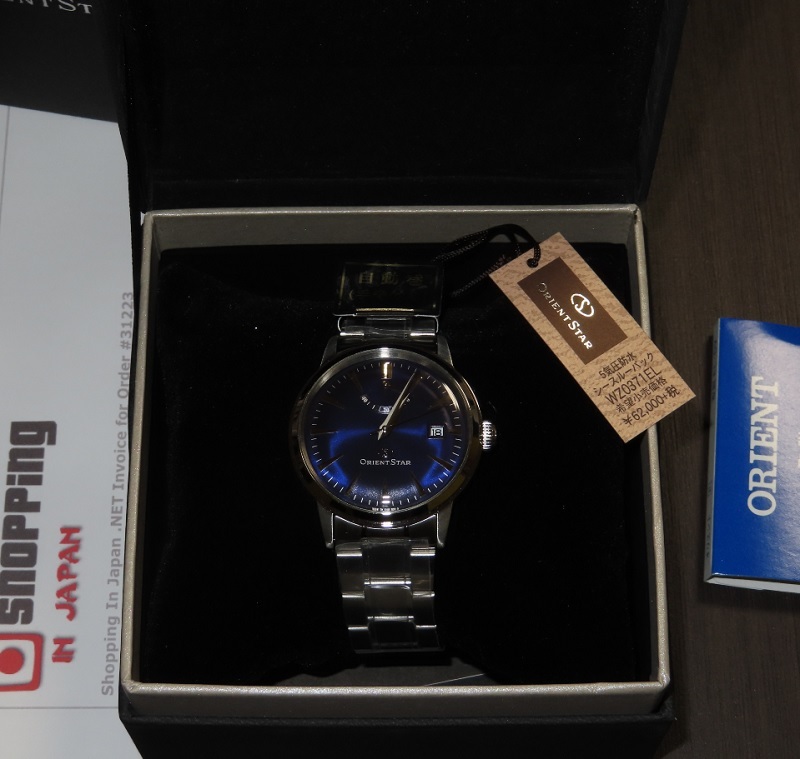 Price down now on this fine Orient Star Classic Power Reserve WZ0371EL that comes with blue dial, doomed crystal glass, Anti-magnetic, See-through back, and has Stainless Steel Bracelet. This Orient Classic WZ0371EL is a JDM (Japanese Domestic Market) watch model and it's now in our stock - ready to ship within 48 hours to any country. So buy now before it’s too late!